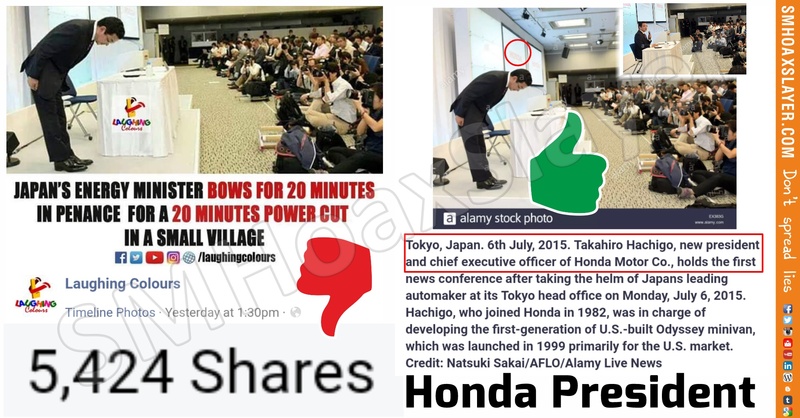 #FakeNews4Money – Did Japan Energy Minister bow for 20 minutes for duration of power cut in small village ? False. 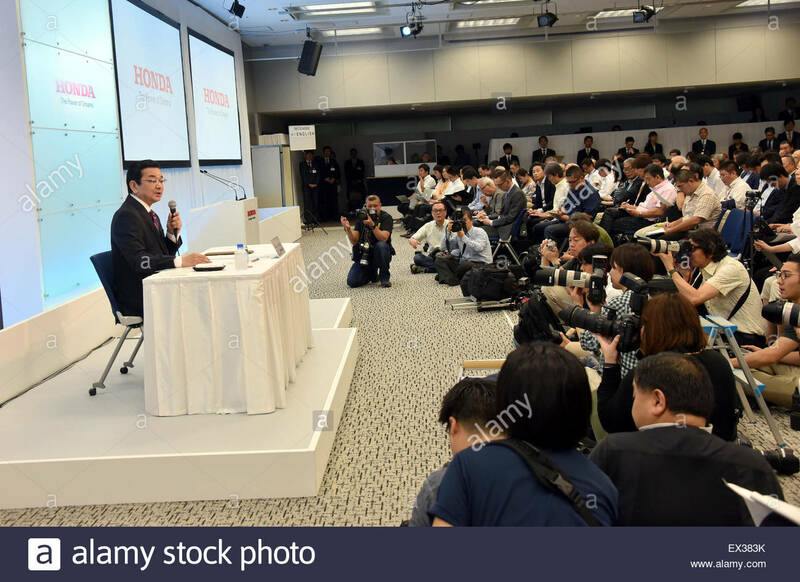 The person in photo is Takahiro Hachigo, President of Honda in July 2015 bowing for Photographers in a Press Confrence. This was a usual gesture for greeting like we do with joining palms for Namastey. Moreover, you can see the logo of Honda projected behind the president has been cropped intentionally to show him falsely as Japan’s energy Minister. 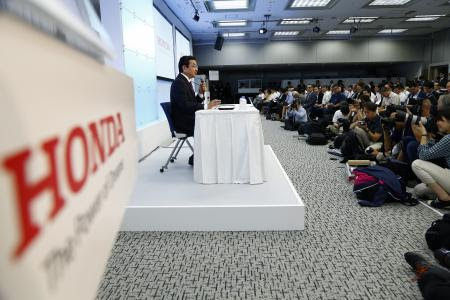 You can see another photo from same event where he is sitting, it also has Honda in background. Such popular pages usually post Fake News, false information for generating traffic to their websites, more shares and minting money from advertisements on website. ← Can Rahul read Kannada or was it English ? January 1, 2019 Hoax Slayer Comments Off on The woman standing with Defence minister is not her daughter. August 10, 2018 Hoax Slayer Comments Off on When ‘how’ becomes ‘now’.